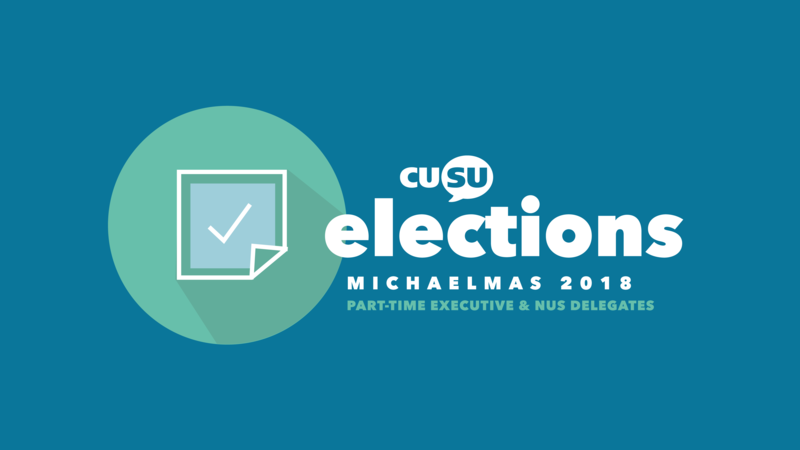 Every Michaelmas term CUSU hold elections for a number of positions within the union. 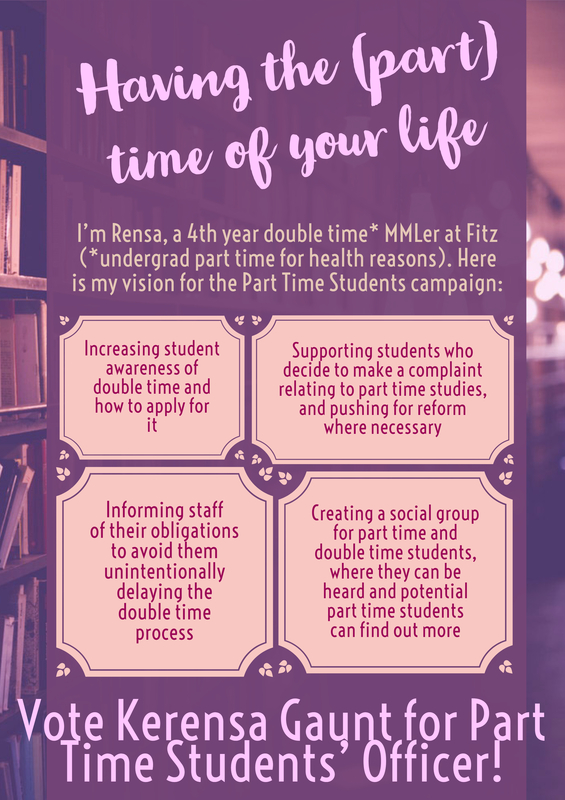 These are roles that campaign for and represent our membership; Cambridge University students! To ensure that the student's voice is represented at an institutional and national level, it is important that students stand and vote in these elections. Candidates will be announced on Friday, Oct 26th, and their manifestos will be available to read. 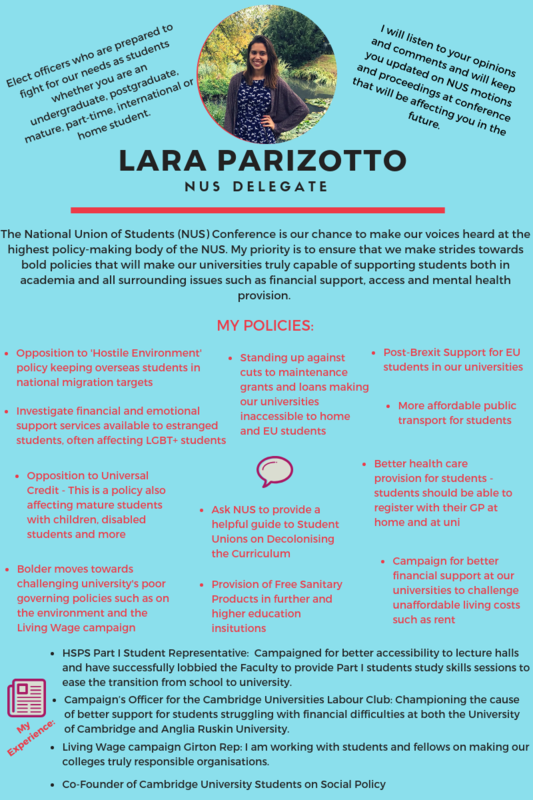 Voting opens at 9 am on Tuesday, 30th Oct and closes at 11 pm on Sunday, 4th Nov. Let your voice be heard, shape your students' union, and send Cambridge's voice to NUS! Results will be announced at 6:30 pm on Monday, November 5th. RON is a candidate in all of the elections listed above and will be listed on the ballot. If you are not happy with the candidates provided, you can vote to re-open the nominations. The Elections Committee received a complaint about Keelan Kellegher handing out campaign materials for himself, Khaled and Thais simultaneously. This has been held to breach rule G.8.iv of the CUSU Standing Orders that ‘campaigners may not campaign for multiple candidates at the same time’. The elections committee has issued a formal warning to all three candidates who have also been reminded of their right to appeal this decision. The Elections Committee received a complaint about Keelan Kellegher using a pre-existing large Facebook group chat to campaign for himself. This has been held to breach rule 3.2 of the elections rules, particularly the section which reads 'When sending electronic messages of any sort (text, email, WhatsApp etc.) for this purpose, they must only be sent to friends and your campaigners.' The elections committee has issued a campaign ban for the remaining four hours of open voting to Keelan, who has also been reminded of his right to appeal this decision.